There have been a few memorable ones in there. A few guys, like Xander Bogaerts, have been off at the World Baseball Classic, and that’s been on a channel I don’t get. But there’s Pablo Sandoval, showing that he’s got something useful in the tank. There’s Mookie Betts, Jackie Bradley Jr. and Andrew Benintendi, looking like the second coming of the Evans-Lynn-Rice outfield. There’s plenty if you’re looking for it. Since this isn’t anything really scientific — I’m just looking for signs of life coming out of winter in between those moments where I’m supposed to be doing something else — I keep watching Hanley Ramirez. He’s not playing much first base thanks to a lingering shoulder issue, but he’s hitting. And he’s hitting the life out of everything. That much shows up in the stat line. In 15 games, he’s hitting a nice, even .300 with three home runs across 40 at-bats. But it’s more about watching him uncork that swing with his left arm flailing out and his right arm waving goodbye to whatever baseball he just murdered. It’s familiar, in that it’ll be his third year back with the Red Sox, but there are all these nostalgic underpinnings to it. Throughout 2016, while David Ortiz said his long, loud goodbye to baseball and Betts started sprinting to the top of the game, Ramirez settled into a new role that so many had long hoped for — he was a rock. In that fifth slot behind the past and future of Boston baseball royalty, he went deep 30 times and more than held his ground in his first season at first base. But it’s more the way he did it. He seemed to have a smile plastered on his face all summer. 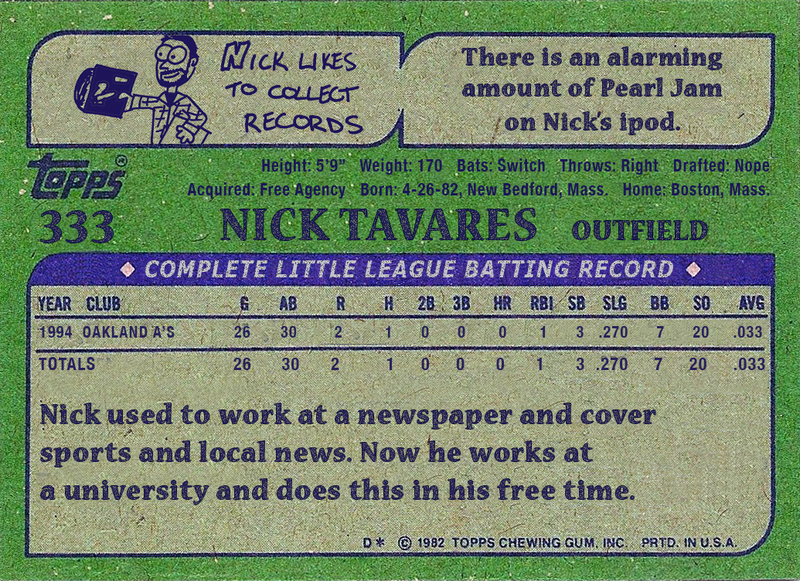 He played with a joy that he didn’t always display in his previous 10 years in the majors. Injuries and less-than-ideal settings will do that, but still, he had a reputation, and in 2016 he shattered it. Now it’s 2017. In a couple of weeks, the season proper will begin. Ortiz will be gone, but there’s not really a shortage of familiar faces. Ramirez will probably be there, and probably hitting fourth behind Betts, where they’ll hopefully go deep one after the other more than once as the summer rolls on. And soon enough, that’ll be the thing I’m looking for in a year or three while the snow melts and I’m bored and lost and looking for some sign of life. This entry was posted in Baseball, Boston Red Sox and tagged Hanley Ramirez, Jackie Bradley Jr., Mookie Betts, Pablo Sandoval. Bookmark the permalink.